The Minecraft movie has found its new director. Following It’s Always Sunny in Philadelphia co-creator and star Rob McElhenney‘s departure from the director’s chair after three years, Peter Sollett has been tapped as the new Minecraft movie director and writer. The Nick & Norah’s Infinite Playlist director steps up to helm the long-anticipated film adaptation of the popular video game of the same name. For a video game about building, it’s certainly taking a long time for the Minecraft movie to come together. But it’s one step closer to becoming a finished product with writer-director Peter Sollett on board, according to Variety. 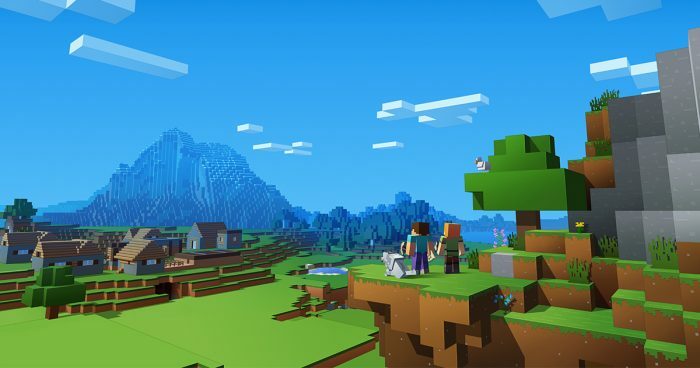 The outlet reports that Warner Bros. has tapped Sollett to write and direct the Minecraft movie, which follows McElhenney’s departure in August 2018. However, since Sollett is also set to pen the video game adaptation, that seems to put to suggest that Warner Bros has scrapped Aaron and Adam Nee’s draft of the screenplay. That’s the first we’ve heard of an initial plot synopsis for the Minecraft movie, which has been long in the making. Warner Bros. has worked hard to launch the franchise since it landed the rights in 2014, tapping McElhenney in 2015 to direct the adaptation and even negotiating with The Office alum Steve Carell to join the cast back in 2016. But whatever version McElhenney and Carell were attached to seems to have been scrapped in favor of this more teen-friendly venture. Minecraft could be a unique video game adaptation in that it offers a totally blank slate: the game is not narrative-based nor does it have a rich mythology — in fact, it encourages the users themselves to build the world. Sollett is best known for character-driven dramas like Raising Victor Vargas and Nick & Norah’s Infinite Playlist, but I’m curious to see what he does with a film with such limitless potential. Minecraft will be produced by Vertigo’s Roy Lee and Jon Berg and executive produced by Jon Spaihts. The late Jill Messick is also still credited as a producer. The video game developer that released the game, Mojang, is also on board as a producer. The post ‘Minecraft’ Movie to Be Helmed by ‘Nick and Norah’s Infinity Playlist’ Director Peter Sollett appeared first on /Film. July 25, 2018 at 3:30 PM Elusive Scamp ‘Detective Pikachu’ Has Left Universal for Warner Bros.